Parents Education Network (PEN) hosted members of the Northern California Branch of the International Dyslexia Association (NCBIDA) as they presented the latest version of Experience Dyslexia® a popular learning disabilities simulation. This hands-on experience was initially developed in the 1980’s by the California State Board of Education. Subsequently the process was taken over by NCBIDA. Over the years the content has been updated several times. The simulation gives the participants an opportunity to discover some of the challenges and frustrations faced by people with dyslexia. As a reminder, dyslexia is a language-based learning disability. The International Dyslexia Association further defines it by stating the condition refers to a cluster of symptoms which result in people having difficulties with specific language skills, particularly reading. Spelling, writing and pronouncing words can also be challenging. Experience Dyslexia® provides an opportunity for non dyslexic-parents, teachers and others – to immerse themselves in the inner turmoil world of a dyslexic. Six learning stations each with a different focus give insight into the lives of individuals with dyslexia. The participants were warned in advance that this simulation was created to be stressful and in some cases fatiguing and emotional. The intention is to offer a true experience of the challenges a dyslexic experiences with the goal of enabling the participants to become more empathetic with the dyslexic student or adult. What follows is a brief summary of the focus on each station. Station 1: Learn to Read simulated a beginning reading problem. The participants were asked to associate visual symbols with sounds to identify words and comprehend the story. I was the leader of this Station. There was only one individual in the more than sixty who was able to master the process. At the conclusion participants in each group offered a short assessment of the experience. They were amazed at how difficult reading was. Some of the words they used to describe the experience were frustration, fear, embarrassment and more. Station 2: Listen to Me simulated an auditory figure-ground problem. Participants put on a head set and listened to a CD to discriminate between important auditory information (figure) and non-essential background “noise” (the ground) while filling out a worksheet. For some dyslexics this noise becomes intensified and hearing almost impossible. Station 3: Write with Mirrors simulated a visual-motor and writing problem. Participants are asked to trace and draw while viewing their work through a mirror. This simulates the difficulty some students have with fine motor skills for handwriting and the frustration that can occur when students realize their written work is not up to par. Station 4: Name That Letter simulated a letter-word identification problem. Several letters, r, b, d, g, p, q can be read in the reverse by dyslexics. Participants were asked to read a mirror image of a poor quality copy of a story discovering what it feels like when they have trouble learning to correctly name the letters and associate them with their correct sound. Station 5: Write or Left simulated the experience of a copying and writing problem which is caused by the lack of automaticity in letter formation. Clues that this issue is manifesting are slow and laborious writing and frequent self correction when writing. Participants were asked to complete tasks using their non-dominant hand. Station 6: Hear and Spell simulates an auditory discrimination problem. Participants are asked to spell a list of words which are dictated three times. Each time there is a different voice distortion which makes it difficult to clearly hear the words. This task simulates what it might be like to have a weakness in auditory processing. For some people with dyslexia it is difficult to remember the number and sequences of sounds within a word. By the end of the evening this group of parents, teachers and others were exhausted but grateful. Thankful they had some insight into a dyslexic’s challenges. Nancy Redding, the host for the evening, reminded us that no two people with dyslexia are alike. And, she commented that dyslexics are often creative, intelligent with vision and hearing. It’s the areas of language where the dyslexic seems to struggle. The Experience Dyslexia® — A Learning Disabilities Simulation kit can be purchased. The kit includes: Inventory of materials, facilitator’s introductory and final summary scripts, dyslexia fact sheets, individual station instructions, scripts, worksheets and two CDs. Additional material that the purchaser would need to buy separately are mirrors, pencils, CD players, listening centers/headsets. The cost of Experience Dyslexia® is $275 plus shipping. The kit can be used repeatedly for teacher in-service trainings and parent education programs. It might be a good investment for your school or organization. Contact NCBIDA at http://www.dyslexia-ncbida.org/simworkshop.html. Simulation Workshops: Experience Dyslexia® — A Learning Disabilities Simulation can be presented by the NCBIDA to interested schools or organizations in the San Francisco Bay Area. This cost is $400 for groups of 30 – 60 participants. Requests should be submitted 6 weeks in advance of your desired date. 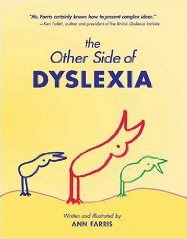 Contact: www.dyslexia-ncbida.org/simulations.html. Finally, a 2008 study from researchers at Southeastern Louisiana University (SLU) using materials from the NCBIDA simulation clearly showed that participation increased awareness of dyslexia among teachers-in-training. The simulation has been shown to be an effective teaching tool.